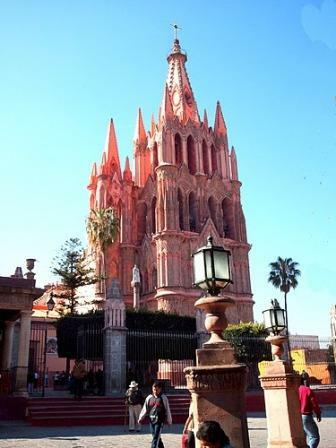 Join us for nine fabulous days in the colonial village of San Miguel de Allende, Guanajuato, Mexico. 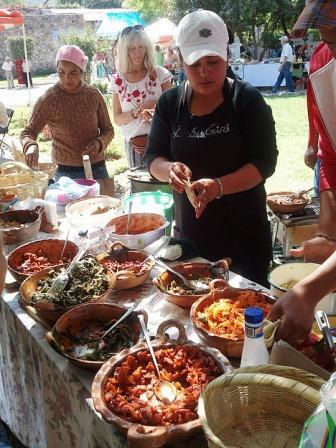 A trip for women focusing on fitness, eating well, and traveling with a cultural and environmental awareness. Situated in the mountains north of Mexico City, San Miguel offers a special opportunity to stay in a small but culturally rich and diverse environment. The last night we will stay in Mexico city, take in a few sights, and leave from there the following day. Covers lodging and fitness classes and organizing for all other activities. Airfare to Mexico City is NOT included. We will rent a 4-bedroom house; there are a few available. When I have 4 people signed up with their deposit, I can reserve the house. Properties go very fast in San Miguel, especially in these months. The final trip price and exact dates will depend upon the house we finally rent. We will stay in a hotel while t in Mexico city. If you are interested, contact me and I will email you the registration forms. We will have strength training classes and optional aerobic stair climbs. Because of the terrain, just walking within the town will provide us with a good amount of exercise. Wander through the large Botanical Garden, visit an old textile factory converted into artists’ studios, lounge for a day at the near-by hot springs, hike to magnificent vistas, shop at the organic farmer’s market, become acquainted with the Center for Global justice, go horse back riding at Via Organica Ranch. Be amazed by the architecture, listen to music, take salsa lessons, dance, learn Spanish, peruse the Mercado de Artesanias, relax and enjoy the Mexican people. Want to form your own group? Three couples or 6 people needed, I'll plan it. Copyright . Marianna Padilla. All rights reserved.